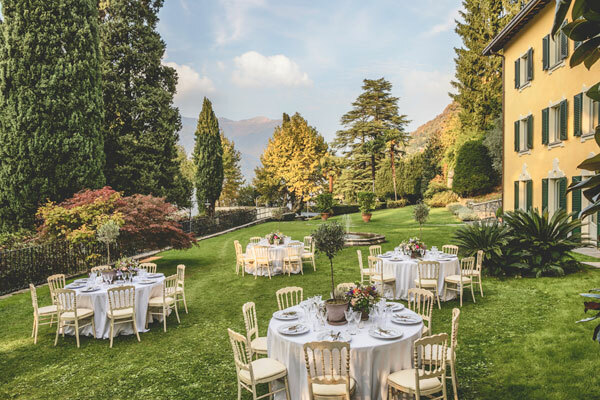 It’s been a busy summer for us, organising some stunning weddings on our beautiful Lake Como! We wanted to say thanks to all our beautiful brides – and grooms – for trusting us so implicitly. We’ve had lots of love and laughter and we’re now looking forward to a bit of quiet for winter (although Como is lovely in the autumn sun! 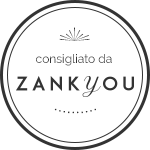 ), preparing the next season, attending shows and generally making sure that we are the 100% ready for you and your ideas when it comes to your wedding. The other big news is that we have secured a superb new venue, ideal for more intimate occasions. 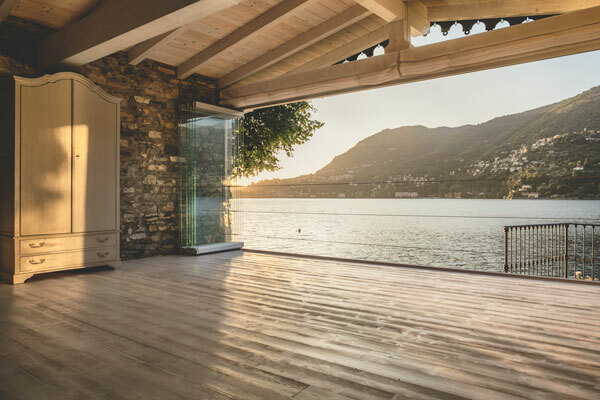 Exclusively offered to Bespoke, Villa Sardagna is right on the lake, so all you girls who dream of making an entrance with a difference and arriving by boat will love it! Grooms will love channelling their inner James Bond while zipping around on the lake in the in-house motorboat. What makes Villa Sardagna really special is its location. Being right on the lake means of course that it has its own private dock. 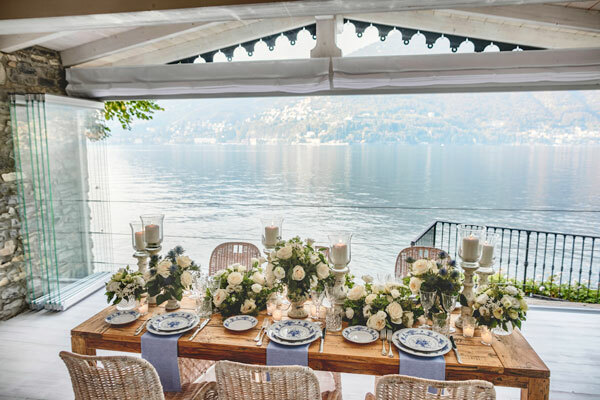 The dock – or darsena in Italian – is the perfect place for the ceremony, and with the pretty lights of Cernobbio (and the famous Villa d’Este) twinkling in the background, the views are really spectacular. We can definitely see many of our newlyweds cosying up after everyone has gone to bed, champagne in hand, just contemplating privately on their new lives from the beautiful wooden dock. The little fisherman’s cottage attached is perfect for more intimate gatherings if you are just a few but even better, it’s also a self-contained apartment so offers the privacy that some of the bigger places simply can’t. We love the lovely garden for an alfresco evening celebration – it has everything you could want including a gorgeous private pool. Accommodation-wise, Villa Sardagna sleeps up to 10 people (including the apartment) and the tasteful renovation has to be seen to be believed but… Oh. My. God. It’s absolutely perfect! After a 20-year labour of love renovation project, we can say that the owner has got it spot on! From the luxury fabrics and the elegant furniture to the superb colours and Murano chandelier collection, this is luxury accommodation at its finest! 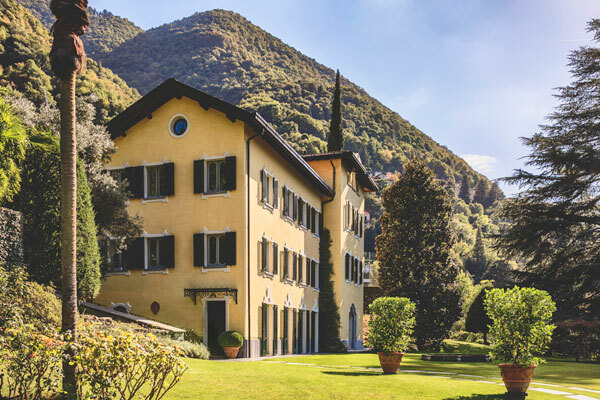 Nothing sums up elegance and understated luxury quite as eloquently as Villa Sardagna.